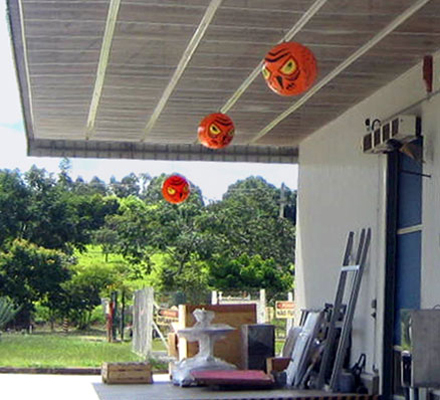 Repel pigeons with a vinyl inflatable predator frightens bird pests away! 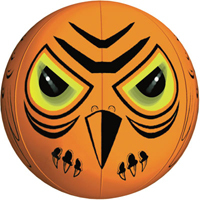 This is a huge 2-foot diameter hanging vinyl ball which has menacing, moving eyes on both front and back that strike fear in birds. Millions of these units have been sold and this device is the most affordable pigeon control device available on the market today. Use this in conjunction with sonic or ultrasonic bird repeller devices to achieve even more effective results. Lenticular Eyes - These eyes produce holographic effects, constantly moving and changing as if they are 'following' infesting birds. 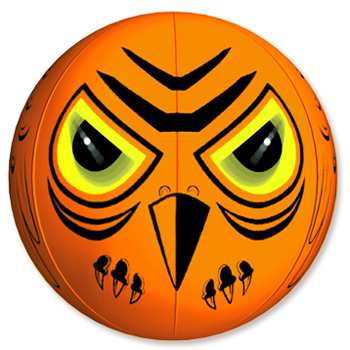 Brilliantly Colored Heavy Duty Vinyl Composition - The material has been scientifically designed from extensive experience and research on predator and bird behavior. 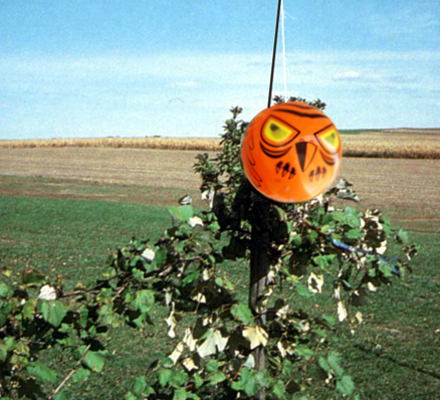 Terror-Eyes deters birds with a terrifying appearance, but it doesn't harm them. Effective wherever visible, up to once acre of open space. We also offer a manual foot pump (to assist in inflating the Terror-Eyes) which makes inflation a breeze. 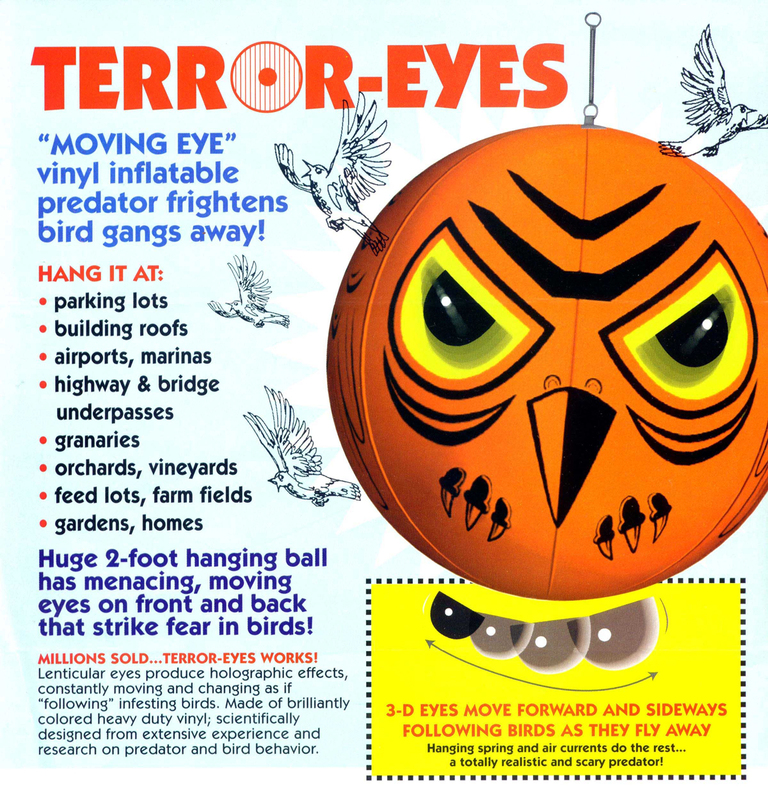 Contents: Terror Eyes Balloon, wire spring, string, and balloon patch.